Oct 28, 2015 (LBO) – Sri Lanka’s new budget’s main feature should be revenue generation, a senior economist said. “Sri Lanka’s budget should focus almost entirely on the revenue side and not on one off taxes,” Dushni Weerakoon, deputy director, Institute of Policy Studies said while launching the institute’s “State of the Economy” report in Colombo recently. 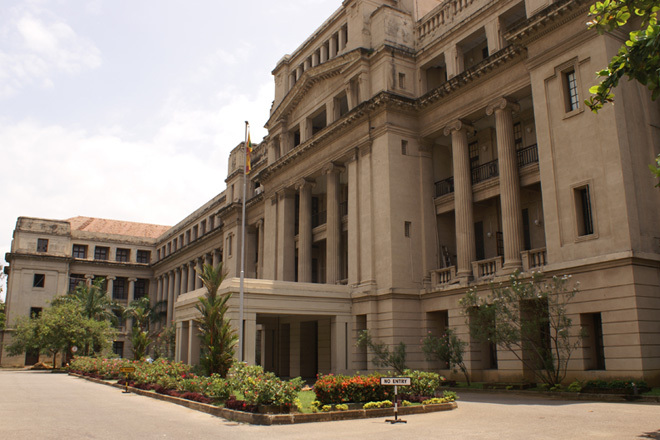 The government’s interim budget in January 2015, mostly known as Robin Hood or Saradiel budget, was based on the manifesto of President Maithripala Sirisena. The budget cut taxes for small cars, food items and increased the salaries of state workers while it also imposed super gain tax on companies, one off levy on mobile telephone operators and direct to home satellite TV providers and others. Weerakoon says that revenue generation can come through fiscal policy reform. “What needs to be done are fiscal policy reforms to address Sri Lanka’s weak revenue generation and to rationalize our expenditure in terms of public sector salaries and pensions, state owned enterprises, subsidies and debt management,” she said. She says that while fiscal consolidation is necessary for broader macro stability what is also necessary is economic reforms to attract productivity and growth. However when fiscal conditions are tightening its hard to take on such reforms, she added. The first Budget of the new Government will be presented to the Parliament on 20 November 2015.